The Way of Knowing is that way in which you have knowledge by direct experience, direct apprehension, by choosing to be only that. 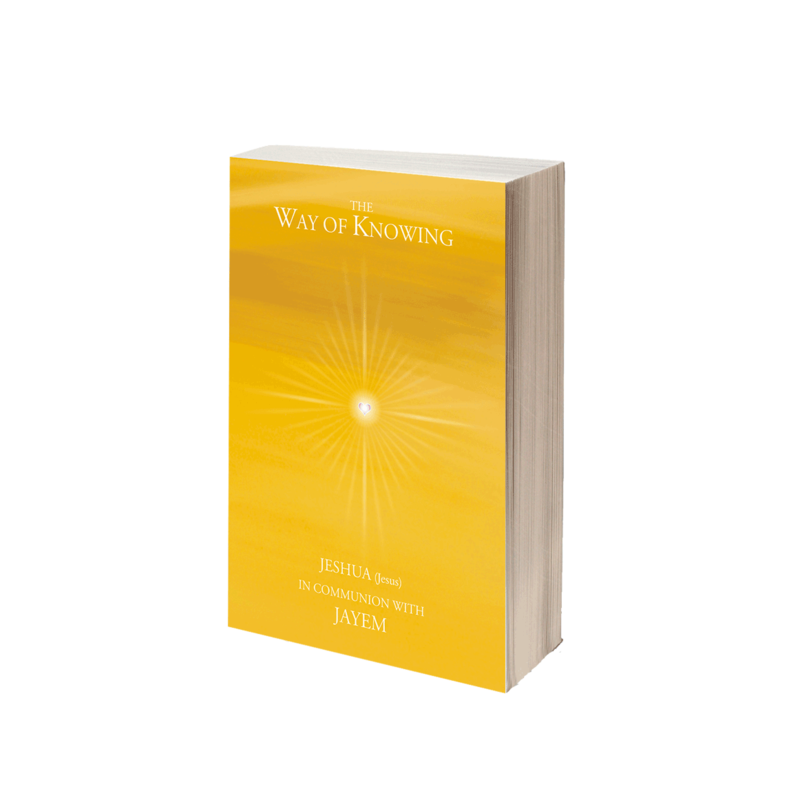 The Way of Knowing, comprising a collection of 11 lessons, is the third in a series of teachings that Jeshua provided over a 3 year period (the trilogy of teachings are called: The Way of the Heart, The Way of Transformation and The Way of Knowing. Together these teachings outline the steps and practices for awakening in Christ Mind. His invitation to us is to wake up from every illusion that we have ever been separate from God and to remember the deepest Truth of who we really are: Christ. "For in that journey, which began in The Way of the Heart, and continued with The Way of Transformation, and begins to culminate in The Way of Knowing, surely, you have heard me say to you, countless times and in countless ways, to awaken in remembrance absolutely requires that you choose to want - above all things - to think with the Mind of God." "What, then, requires True Knowledge? What, then, is required for True Knowledge to exist? How does one live - in whatever dimension of Creation - when they abide in True Knowing? Beloved friends, that which is required for True Knowledge to pervade the whole of one's consciousness is simply this: Not for one moment have you ever lived life. Rather, in Truth, and in Reality, Life, which is but Love streaming forth from the Source of all Creation, has sought to live as you. Never at any time has there, in Truth, been a false self. Never has there been a time in which something called the ego has existed." This trilogy stands as the testament of Jeshua - the truth of the man who was just as we are and yet found his way to the Atonement. It describes his journey and the insights gained along the path of his own awakening, as a man living on the Earth. The principles, wisdom, and techniques offered in this material, if you choose to fully engage with them, will transform your life and bring you to peace and harmony. In the pages below you can listen to the original audio and/or read through the transcripts. We also invite you to download the MP3 audio files and/or the ebook version that works for you. For anyone who desires a physical book these are available through Lulu in the USA. There are two different formats to choose from: a regular paperback book and an A4 spiral bound workbook. While we do not have the resources to provide these free of charge, the purchase price has been set to cover the printing costs. Click here to visit Lulu. If you would like a physical CD these are available to order directly from Kunaki in the USA. All 11 lessons along with the Question and Answers section have been place on the one MP3 data CD. Again the prices are set to cover the CD preparation costs. Click here to visit Kunaki. We hope you to enjoy immersing in offerings from The Way of Mastery. If you find some jewels of wisdom, guidance that touches your heart, or are simply feeling appreciative for what you have received, please consider making donation - an expression of your gratitude. All funds received will be utilised in the administration of this website and support in the development of even more resources - offerings - from The Way of Mastery.